Griffin, Gerald, poet and novelist, was born, 12th December 1803, in Limerick, where his father was a brewer. Gerald was a remarkably gentle and susceptible lad. His first master was Richard McEligot, a genius of some celebrity in Limerick. When Gerald was seven years old the family removed to Fairy Lawn, a cottage charmingly situated on the Shannon, twenty-eight miles below Limerick. His recollections of this spot were ever of the most delightful character. The home family then consisted of the father, an amiable, easy-going man; the mother, a woman of sound sense, strong religious feelings, and acute literary perceptions; two elder sisters; two brothers (Gerald and Daniel); and two younger sisters. The rest of the family were scattered. Here his strong literary tastes began to develop themselves: they were wisely directed and encouraged by his mother, and fostered by a visiting tutor. Gerald was almost constantly immersed in books, and he even began to write poetry. At times he devoted himself to fishing and shooting, more from the opportunity they afforded of revelling in the contemplation of nature, than from any love of the sports themselves. His education was continued at neighbouring schools — Virgil becoming his favourite author. In 1820, in consequence of pecuniary difficulties, his parents removed to Pennsylvania, with some of the elder members of the family — a bitter trial to a lad of Gerald's tender and loving nature. He was then, with his brother Daniel and two sisters, received into the house of his elder brother, a doctor at Adare. Gerald ever considered that the antiquities and historical associations of the place had much to do with impressing his imaginative faculties. He was intended for the medical profession, but his preference for literature now became marked; he wrote for the papers in Limerick, joined a Thespian society, became acquainted with John Banim, and one day called his brother into his room, and showed him Aguire, a tragedy he had written, and announced his intention of proceeding to London to push his fortune. Nothing could turn him from this resolve, and in the autumn of 1823, not twenty years of age, he started for the great metropolis where he remained more than three years-until the early part of 1827. At first he was quite unsuccessful in his literary attempts, and, too high spirited to pain his friends at home with the truth, he suffered the bitterest privations, by which his health was permanently injured. John Banim, as far as he was permitted, proved a true friend. Gerald ultimately turned his attention to writing for reviews and magazines, and attained a respectable position. His Hollantide Tales were his first decided success. The pleasure of his return home in 1827 was saddened by the death of a beloved sister, in whose memory he wrote the exquisite lines commencing, "Oh, not for ever lost." During his sojourn at Pallaskenry, whither his brother had removed from Adare, he enjoyed a delightful season of rest, and wrote the Tales of the Munster Festivals, which he brought to London to publish in the autumn. The Collegians, the ablest and most successful of his works, followed. 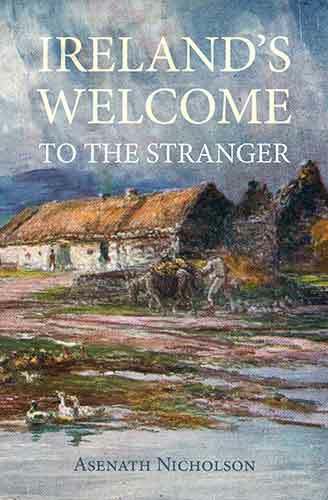 One of the most laboured of his works was his novel The Invasion, a book displaying minute acquaintance with the manners and customs of ancient Ireland. About this period he became intimate with a family in Limerick, one of whose members, a married lady, exercised a great influence over his after life. She was the inspirer of many of his best poetical pieces, and with her and her husband and children he passed probably some of the happiest days of his life. Their correspondence occupies a large portion of his memoirs edited by his brother. As his literary abilities became more recognized, he appeared to lose a relish for all mundane affairs, and in September 1838, having burnt most of his unpublished writings, he entered on a noviciate in the Catholic society of Christian Brothers, in Dublin. As far as we can judge, this retirement from the world brought him happiness. He became absorbed in the duties of his new life; but died of fever on the 12th of June 1840, aged 36, at the North Monastery, Cork, and was buried in the cemetery attached to the institution. He was tall and well formed, with an intellectual and rather pensive cast of countenance. Many of his poems are very beautiful, and some will doubtless long hold a place in English literature. The preservation of several is due to the memory of his friend, Mrs. Fisher. His drama of Gisippus, acted at Drury-lane in 1842, after his death, met with a warm reception, but has not held a permanent place on the stage. Miss Mitford says: "The book that, above any other, speaks to me of the trials, the sufferings, the broken heart of the man of genius, is that Life of Gerald Griffin, written by a brother worthy of him, which precedes the only edition of his collected works." A notice of his elder brother, William Griffin, M,D. (born, 25th October 1794; died, 9th July 1848), author of a few tales published in Gerald's Hollantide and Tales of a Jury-room, and of some medical treatises, will be found in the Dublin Journal of Medical Science, vol. iv. 156. Griffin, Gerald, Life: by his Brother. London, 1842. Grose, Francis, see No. 8a.